The global fine wine and spirits market is driven by the increasing consumption of alcohol, urbanization, dynamic lifestyles, and the demand for fine wine and spirit products during social celebrations. What’s causing consumers’ gravitation toward fine wine and spirits? Well, the rise in original, innovative cocktails and the spreading “cocktail culture” in the U.S have made fine wine and spirits a popular choice among consumers. Price optimization is the method that calculates how the demand varies at different price levels. Industries up and down the supply chain, both in B2B and B2C frames, fairly devote a massive amount of time towards price optimization to assure that their products or services sell quickly at the right price while still gaining a decent profit. Helps expand profits by preserving the same levels of customer retention. Reduces the prospect of inaccurate or biased results by employing multiple methodologies, various data sets, and multiple models. 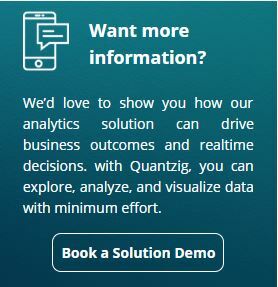 Quantzig has been serving for more than 15 years. We have helped our clients across the globe with end-to-end data modeling capabilities to leverage analytics for sound decision making. We believe that the ability to harness the actionable data is what drives a company towards success. Continue reading to know more about the fine wine and spirits industry or Request a Proposal.